For all those avid fans of the first StarCraft you will be pleased to know that the second installment is scheduled to be released on Tuesday July 27th. We have decided to list all the places you can order and pre-order the game below and the prices for them. This much anticipated game is set to be a stunner. There have been some major changes in the way battles are orientated and the graphics and structure of the game. 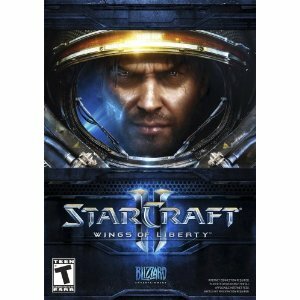 One of my friends said that while he loved the first one, he wont be buying this new game as he lost about a year of his life playing StarCraft 1. BestBuy: The game goes on sale on the 27th at Midnight for one hour. And as a bonus you’ll get a free Sidewinder X3 Gaming Mouse with every purchase (it’s a $50 value). The cost of the game at BestBuy is $59.99. Don’t bother with the digital download. The blizzard downloader is horrible. The disk is a 6.99GB file at 20-200 KB/s. So it will literally be faster to have the physical disk mailed than to download — at the same cost (or less via amazon).